This time of year, these baby snappers are trying to get places. They have a rough time as it is, being small and snackable for some predators, and subject to road kill on Cootes Drive and Olympic. You probably wouldn't notice these when you are travelling in your vehicle at 80 km/h. Yet that's the speed limit on Cootes, which is precisely where so much wildlife lives in the adjacent marsh. So we encourage you to take our pledge, and limit your drive-time on these roads that cut through a nature preserve. Do it for the kids. It only takes a minute to do the pledge, and it will generally only add a minute to your drive between Dundas and Hamilton to follow through on the pledge. 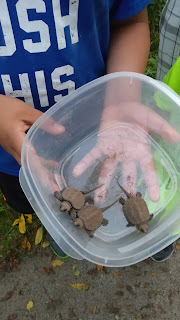 Take another look at the baby turtles: there are your three good reasons.